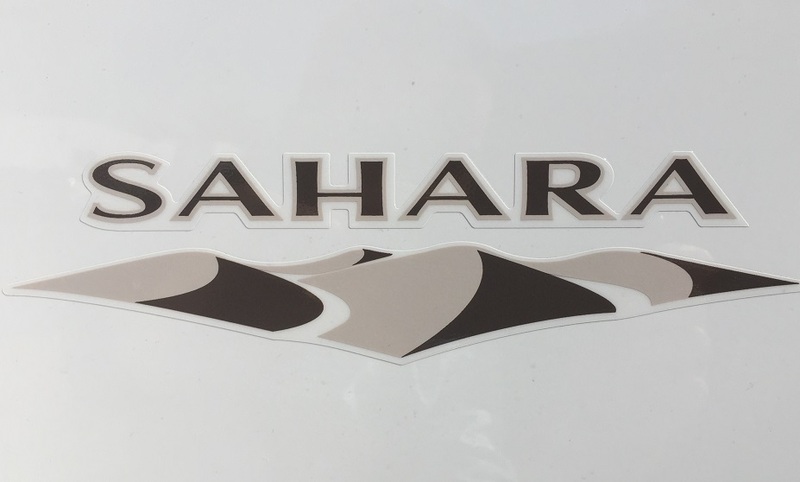 Sahara decal from a 2016-2018 Wrangler. Has dark and light brown two-tone colors. Good OEM decal which went on nicely. ProsGood OEM quality. Applied easily, just be careful. Fast shipping.. Good price. ConsAlthough it was pretty self explanatory, it would have been good to have some instructions.